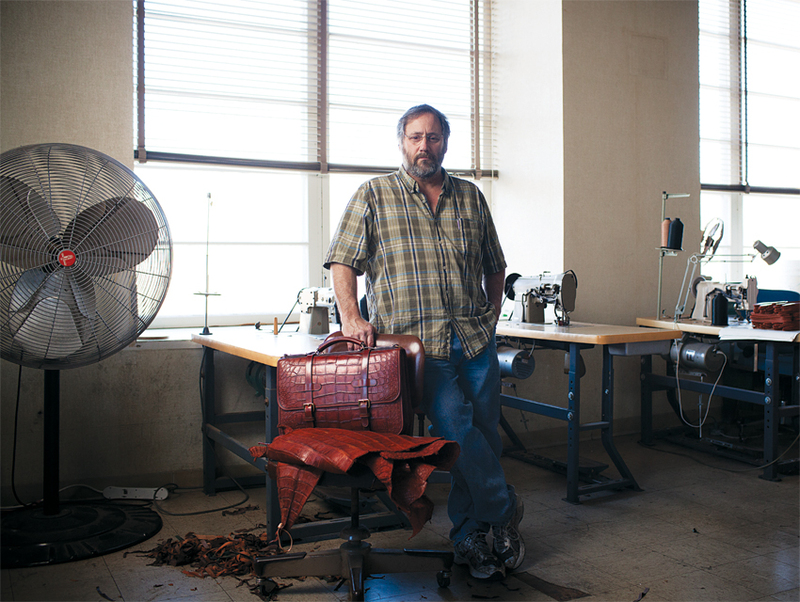 Frank Clegg crafts luxurious leather goods in his Fall River workshop. 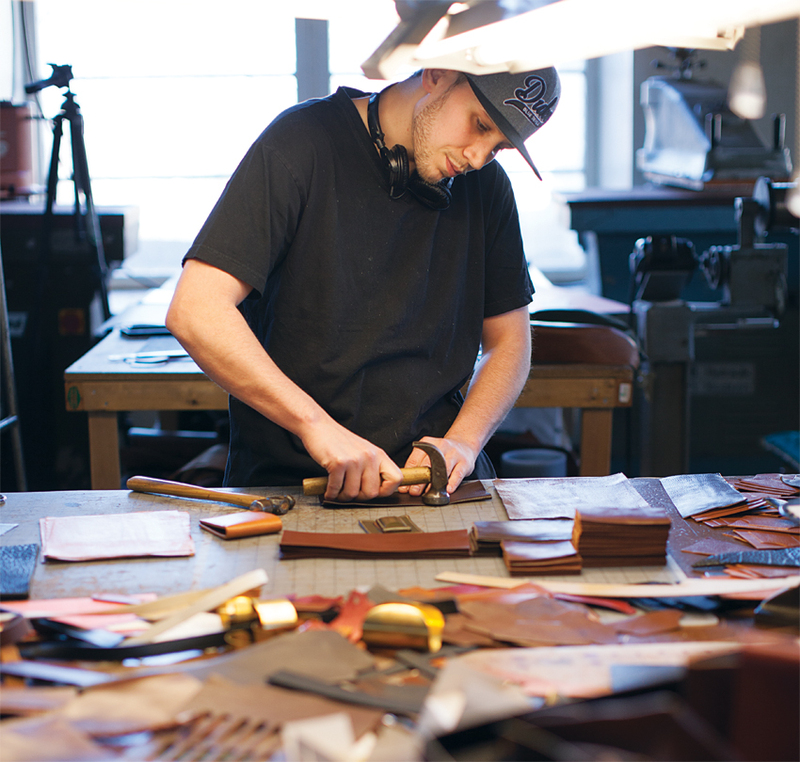 By Lindsay Tucker·	 6/4/2013, 4:26 a.m.
“That was the heyday of leather shops,” Clegg says. 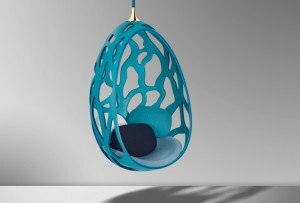 “Everyone was obsessed with making a good product. 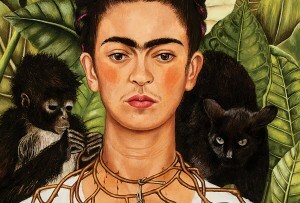 There wasn’t room for compromise. 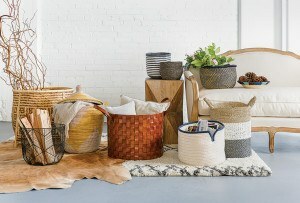 You did the best you could with what you knew, and what you had.” That year, Clegg serendipitously met a Boston couple looking to outfit their boutique in St. Croix. When they placed a $3,500 order (roughly equivalent to $20,000 today) on the spot, Clegg knew he had a viable business. In his partially unbuttoned, plaid Carhartt shirt and jeans, Clegg seems like an unlikely style expert, but over the years he and his handful of employees have made bags, belts, wallets, and more for big-name fashion brands like Cole Haan. “They would call and say, ‘We need five different ladies’ bags that look like they go with the collection,’ and that was easy for me to do,” he says. Even as he worked with major designers, Clegg continued to focus on his brand, eventually parting ways with Cole Haan after Nike took over the company in 1988. 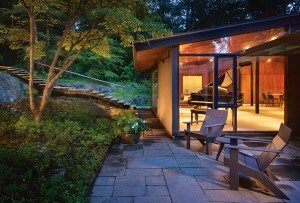 The process Clegg uses to create his signature pieces hasn’t changed much since the ’70s. 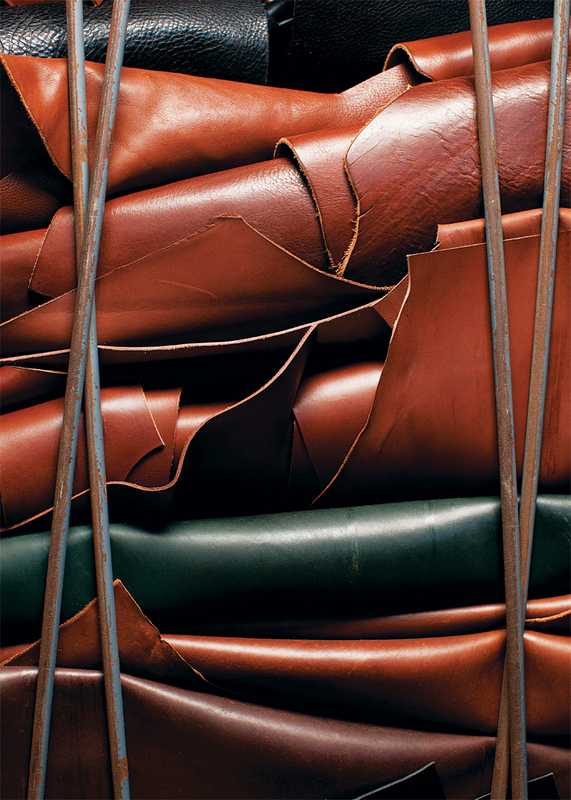 He first cuts the basic parts out of chemical-free, vegetable-tanned leather. 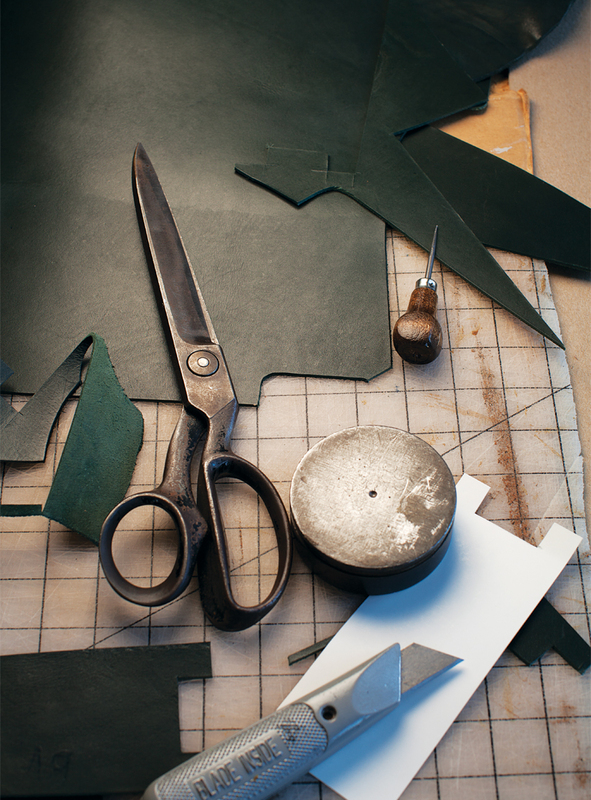 When an order comes in, those pieces are run through a leather splitter to achieve the desired thickness, then beveled on a tapering machine if binding or pockets are required. After the raw leather edges are sanded and polished, they’re either bound by a thin piece of leather that’s folded over the end and stitched, or polished and dyed with Italian edge paint. 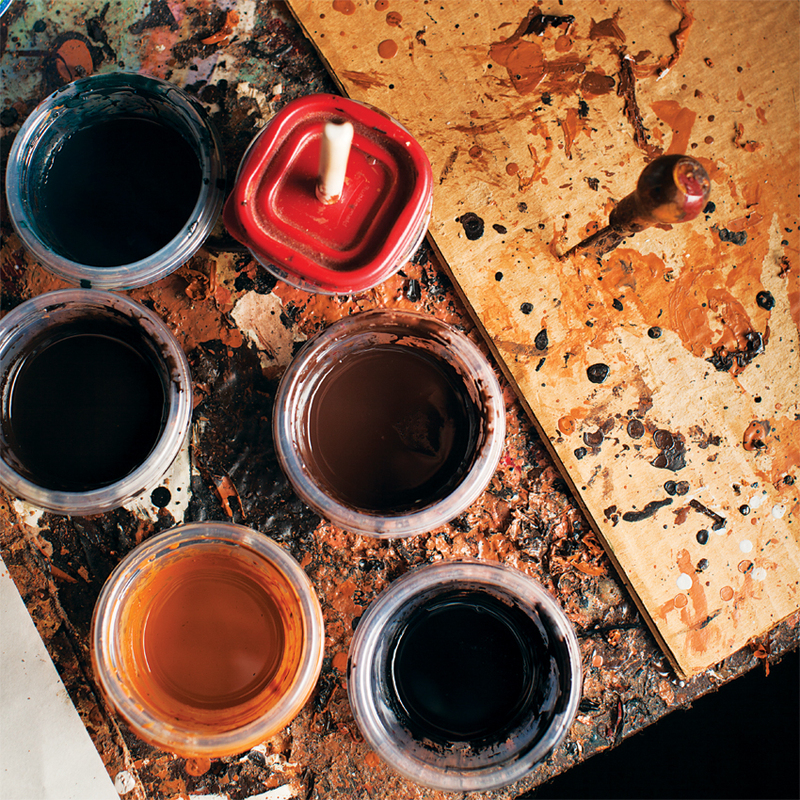 Though it’s four times the price, Frank says good edging is the key to a top-quality piece. “When everything’s finished nicely, the whole effect of the bag is better,” he says. Workers then use hammers and other hand tools to add hardware to the item before it’s stitched together on a sewing machine. 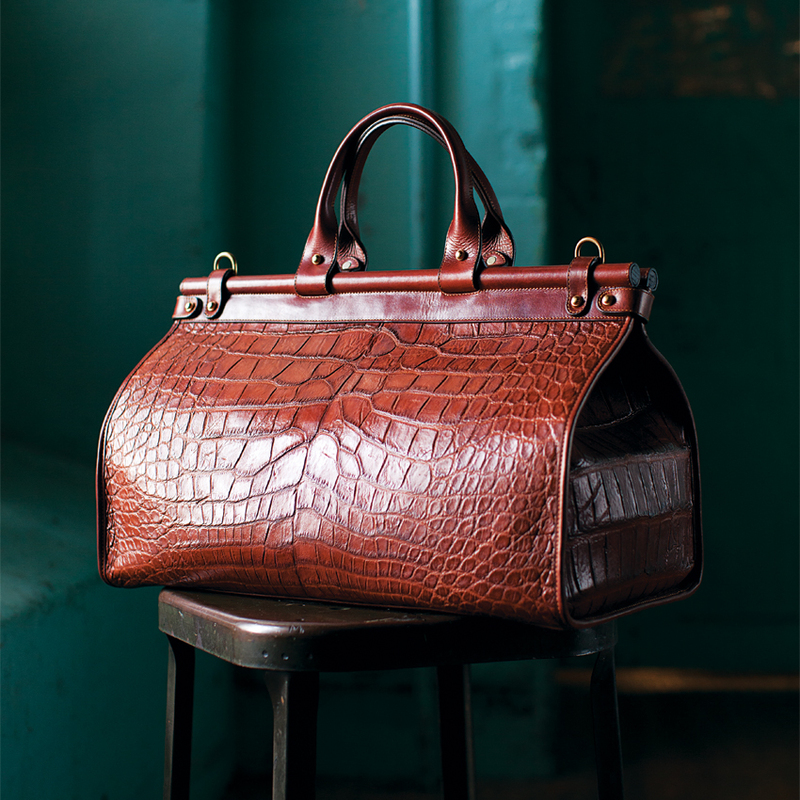 Shiny shell cordovan and speckled stingray skin are just a few of the exotic leathers Clegg sources for his goods. Today, website orders come in from as far away as Asia and Europe. From the 1,000-plus patterns Clegg has made, bestsellers include satchels, duffel bags, weekenders, totes, and, of course, briefcases. He offers a classic English brief, a more-modern captain’s brief, and an oversize lawyer’s brief. 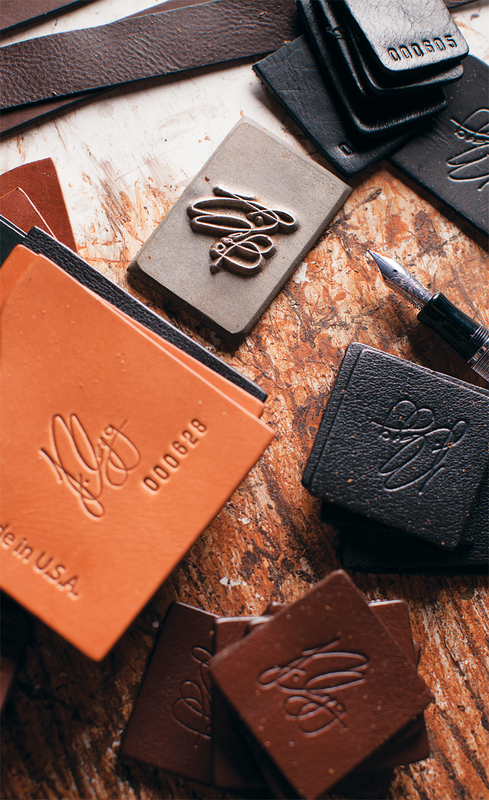 Leather pieces await incoming orders. A craftsman uses a spindle sander to polish the leather. Various stains are used to finish the wares before they’re sent to customers. Clegg shows off an English briefcase in his workshop. 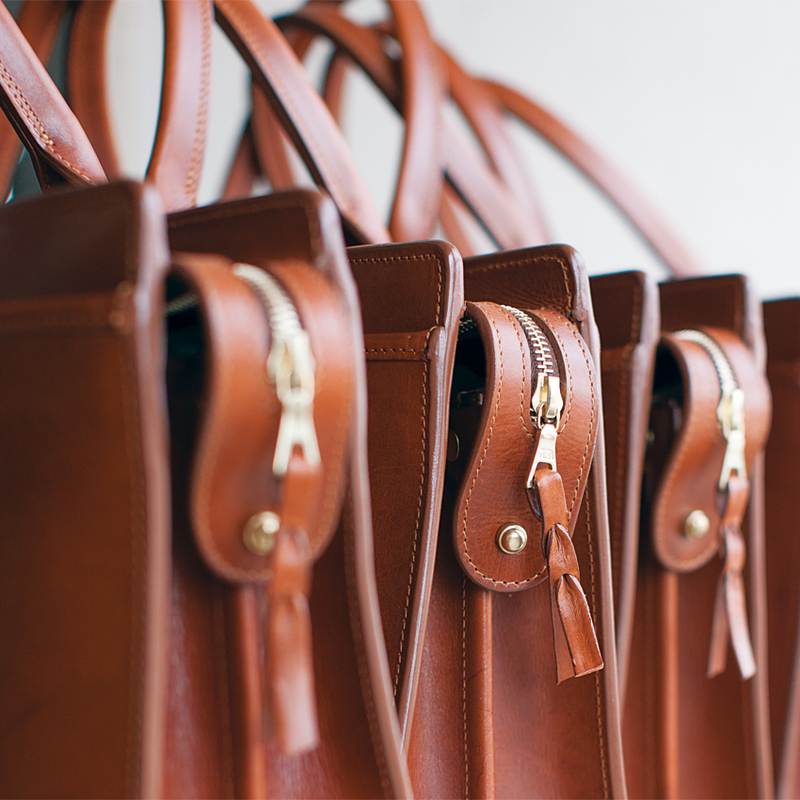 Clegg uses solid brass rivets and heavy Swiss-made zippers on his bags to increase their longevity. Each piece is adorned with Clegg’s signature and a serial number. 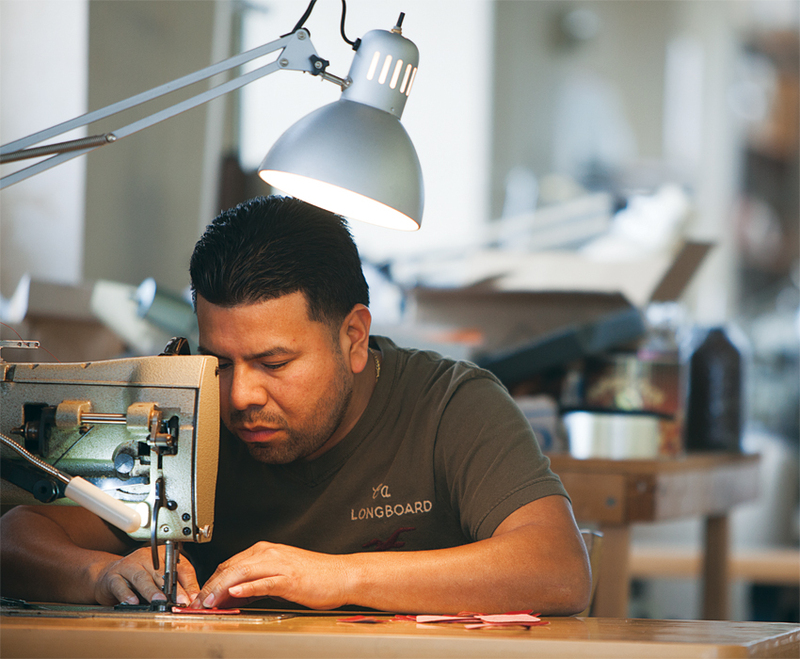 A craftsman carefully stitches a piece together. 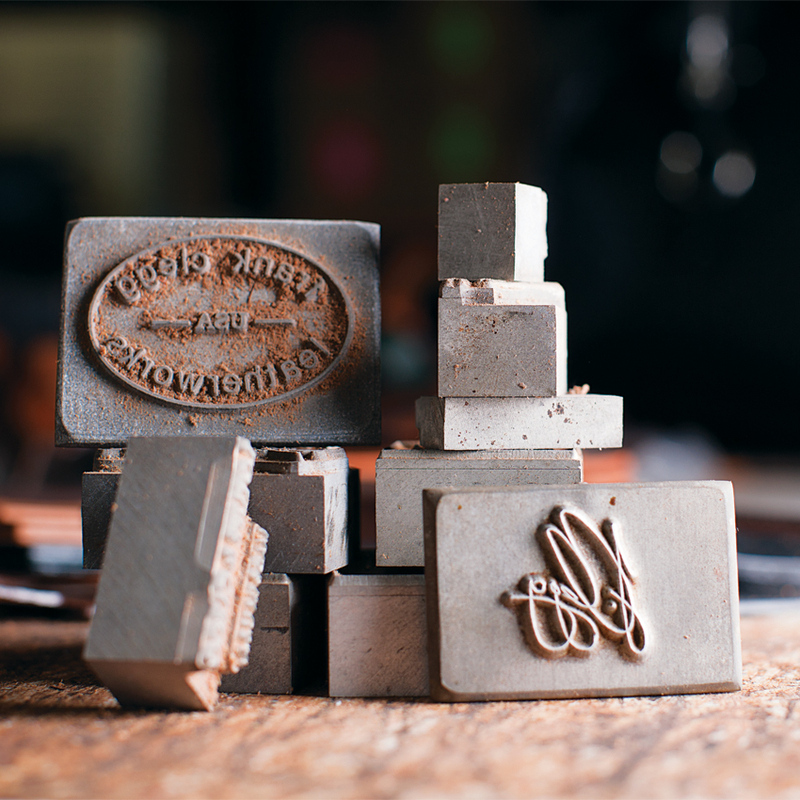 Metal stamps engraved with Clegg’s logo and signature are used to mark all of his original designs. 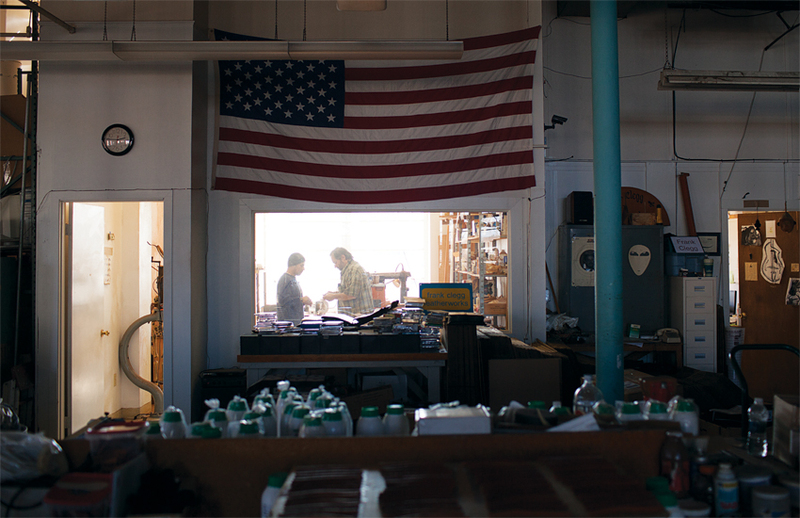 An American flag proudly hangs above Clegg’s workshop. Clegg recently purchased a computer-guided cutting machine, though many of his patterns are still cut by hand. Right, an employee carefully hammers metal rivets into a piece of leather.